A Compagnie José Besprosvany/IDEA asbl production. Co-produced with the Theatre Royal du Parc, Brussels, and the Theatre d’Ivry Antoine Vitez, Paris. Subsidized by the Dance and Music Departments of the Ministry of the Wallonia-Brussels French Community, with additional support from the WBI, WBTD, SACD, and the Parliament of the Federation Wallonia-Brussels. 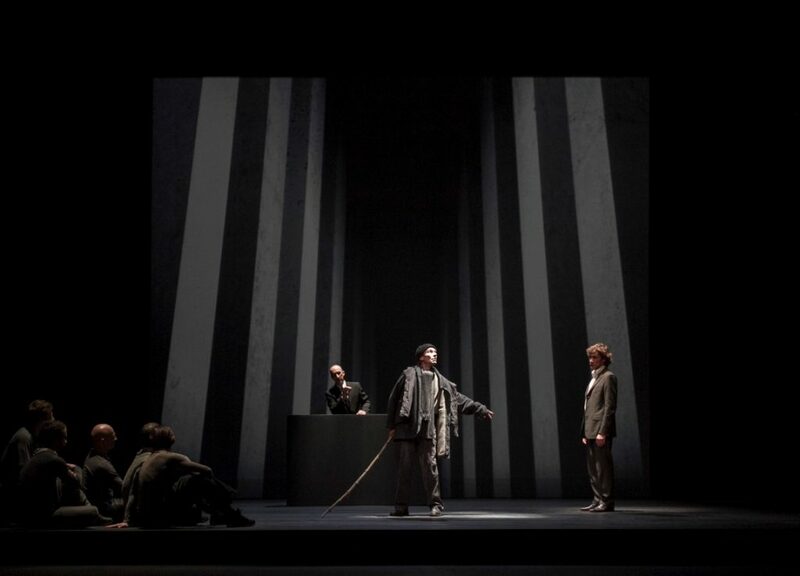 Hailed by Aristotle as the pinnacle of Greek tragedy, Oedipus Rex represents a remarkable triumph of the classical unity of time, place, and action. In this tragedy, crucial to this unity is the evocation of a dark prophecy that reveals the shocking truth behind the Theban curse and behind Oedipus’ own past—a prophecy that shatters the illusory security of his present and ultimately seals his future with blindness and infamy. 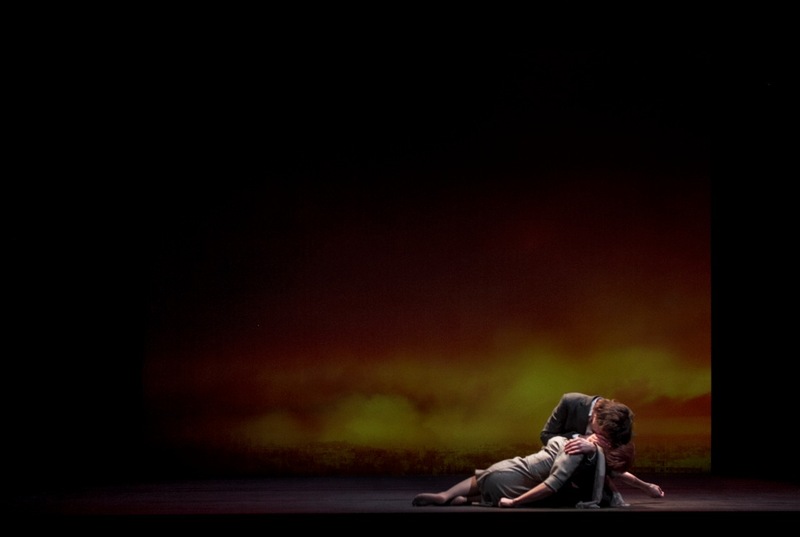 In this faithful take on Sophocles’ tragedy by writer Olivier Kemeid, José Besprosvany sets out to again enrich the stage through his company’s hallmark juxtaposition of text, music, and dance. 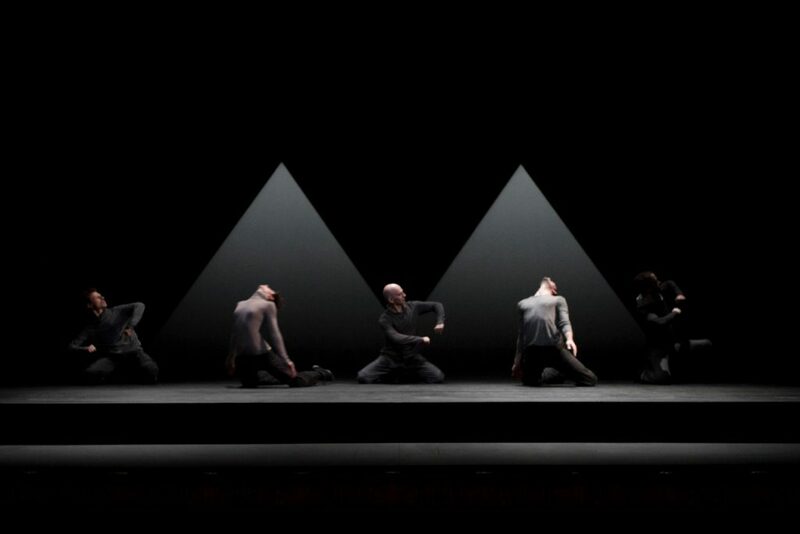 This time around, José fuses a compelling blend of old and new, allowing dialogue, music, movement, puppeteering, and the mysterious shadow theater of the Far East to intertwine with contemporary manipulation of shadow and light. By harnessing these two intangible yet powerful forces, José is able to transform space itself—thus not only intensifying the presence of dancers, actors, music, choreography, and dialogue on stage, but also bringing entirely new dimensions to inanimate theatrical objects. 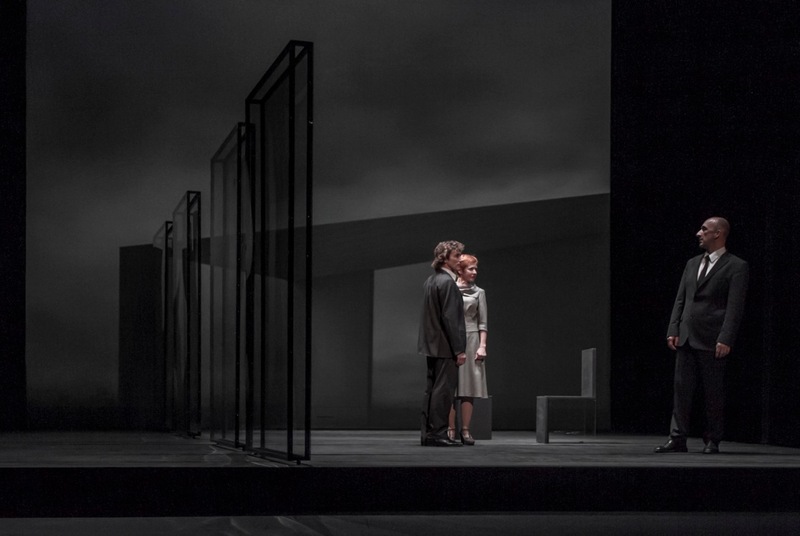 Three actors depict the infernal family triangle of Oedipus, Jocasta, and Creon, while the other characters are embodied by two other actors, who easily step out of one role and into another thanks to an inspired choice of props. 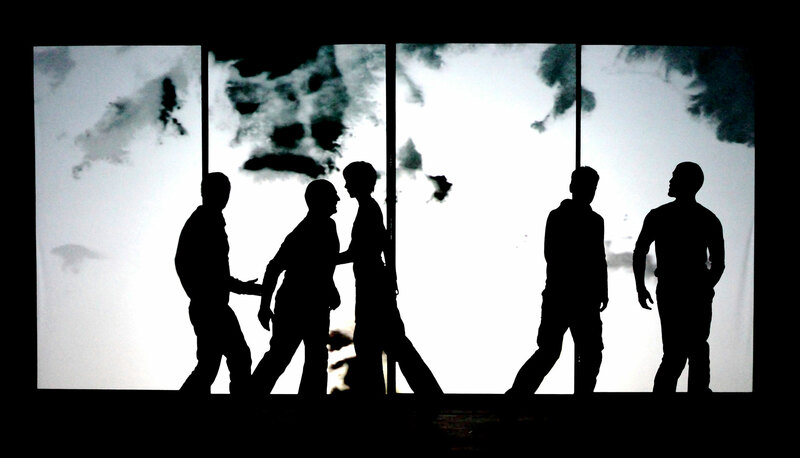 Performances by five dancers introduce more depth and complexity with the help of a specially designed set and creative application of video projection, giving rise to images and shadow play that strengthen the narrative of the terrifying past as told by the actors, without ever falling into the illustrative or thr superfluous. The music, created specifically for this show, further enhances the work, coordinating all of its parts into a beautifully coherent whole. 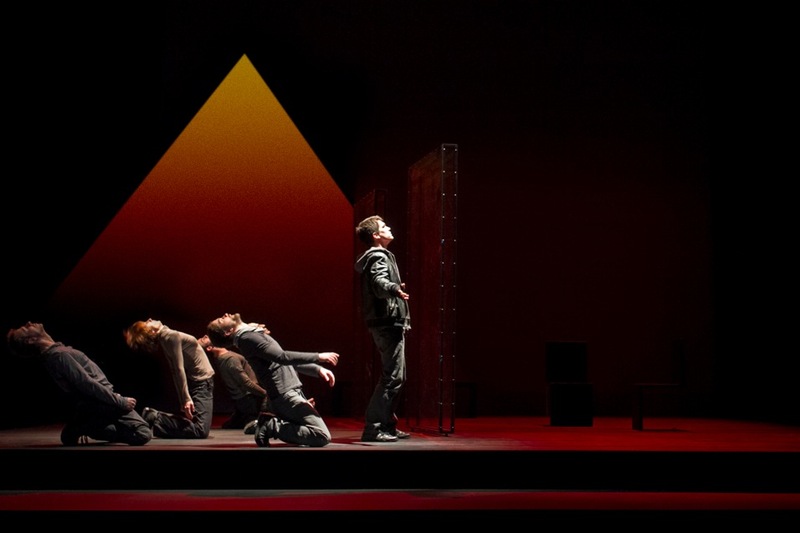 Oedipus blends all of the arts (speech, music, video, and choreographed movement) into a portrait of sight and sound that is both refined and moving: José Besprosvany’s “puzzle” on power and identity is one of his best works in a long time. 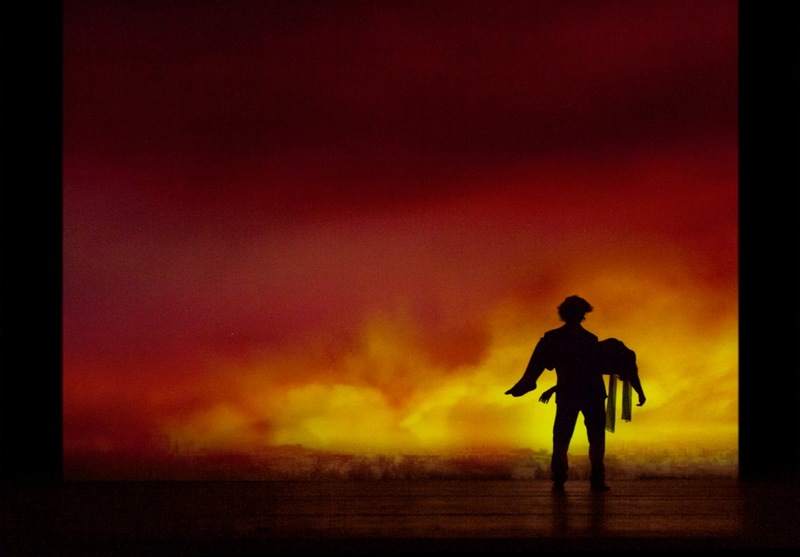 Writing, direction, and choreography cleverly share the field on a creation that remains faithful to the legend, but lends it new contours and multiple dimensions. The clever directing idea is to have the chorus replaced with dancers. Faithfully playing its role, the chorus embodies the city and highlights the intrigue. La Compagnie José Besprosvany a été créée en 1986. Avec son chorégraphe et metteur en scène elle mène une réflexion et une recherche autour de la création chorégraphique et théâtrale, dont l’objectif principal est la réalisation d'œuvres offrant de nouveaux rapports et regards entre le mouvement, la musique et le texte. Ces dernières années, le travail de création de la Compagnie s’est orienté vers deux lignes conductrices importantes : d’une part, la relation – avec ses infinies variations – entre le mouvement et la narration et, d’autre part, la volonté d’ouverture vers les cultures extra européennes. Ces deux lignes ont guidé le travail artistique au travers des projets qui peuvent sembler très différents, mais qui trouvent une cohérence dans leur questionnement et dans le travail sur le fond. C’est ainsi que cette volonté de décloisonnement, tant sur le plan esthétique ou formel que sur le plan dramaturgique, ont permis la création de spectacles inattendus et aussi hétéroclites qu’inclassables.